Who are they to judge? Overcoming anthropometry through fat bodybuilding. 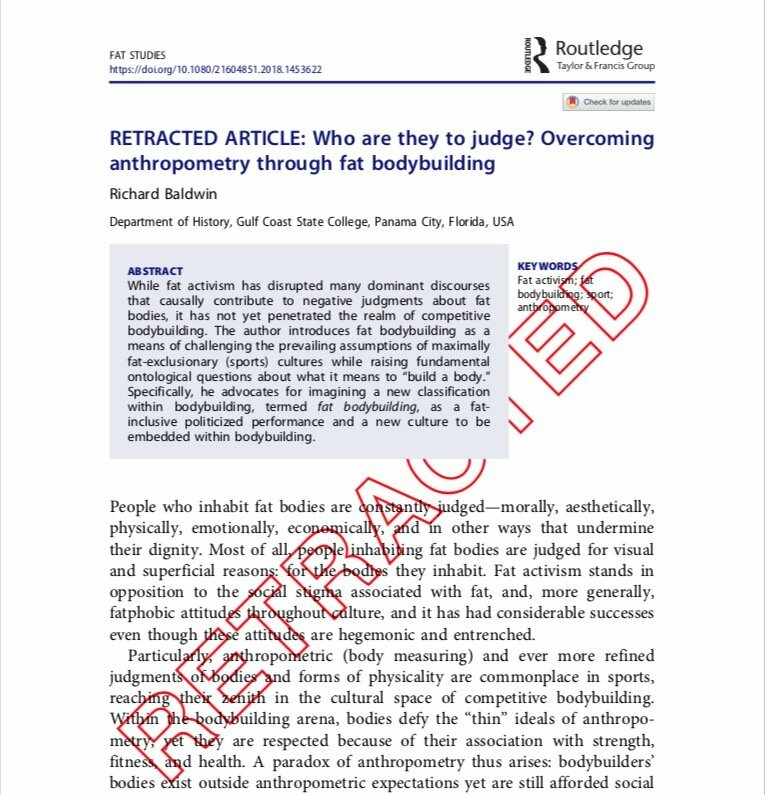 The journal Fat Studies published and has now retracted that hoax study. But this was not a one-off hoax. It was part of a series, concocted to make a point. Academic grievance studies are corrupting scholarship, say Helen Pluckrose, James A. Lindsay, and Peter Boghossian. If an amateur with no background can spend three months brushing up on your field, and then immediately start cranking out papers that get accepted at serious, peer-reviewed journals, there is something badly wrong with your field. The hoaxers set out to produce about 20 papers for publication in peer-reviewed journals. In fact, they cranked out one about every two weeks once they got going. Their success was remarkable. Journals accepted seven of their papers. And another seven papers were still in play when the hoax began attracting attention – by virtue of its success. The Wall Street Journal first reported the hoax in a commentary by Jillian Kay Melchior. While she disclaimed the methods as “unethical,” she endorsed the thesis. Something has gone awry in academia, she wrote. Elsewhere, folks are eager to seize this “proof” that the politically correct culture of academia has run amok. Without a doubt, we are living in an age of grievance. 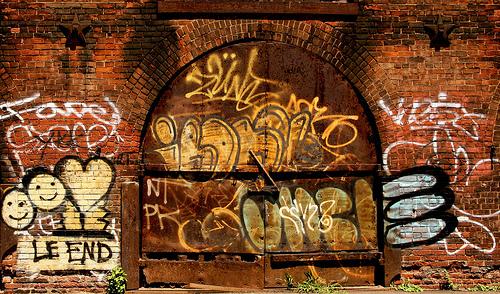 Pluckrose et al singled out a few academic fields to make their point. They focused on studies related to culture and identity. Dogma in those fields is making good-faith conversations nearly impossible, they say. Certainly, the fat studies hoax brings to mind our own observations about difficult conversations regarding obesity. And in fact, we see grievances about nutrition policy creeping into medical journals. JAMA Internal Medicine, for example, published an analysis of emails to promote a theory that “big sugar” bears the blame for flawed low-fat dietary guidance. This is serious medical research? What strikes me about stunts like this is their fundamental meanness. No attempt to intellectually engage with ideas you disagree with. Just trolling. Can we please move on from the grievances? It’s great to be discerning. However, we also have an obligation to be constructive. Click here for more from the New York Times and here for a detailed report on this hoax from the perpetrators.